Every day it seems, there is a new hot thing making the rounds on social media, through email and on the web. 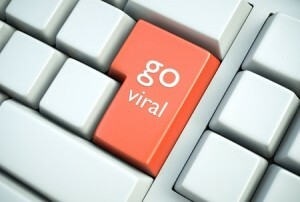 For us content creators, our biggest dream is to achieve viral status in one way or another. Whether it be through an emotional story or a compelling video, there are plenty of ways in which to achieve this effect. Unfortunately, only the biggest names in the production business can produce content that is engineered to go viral in a short period of time. What you can do, however, is ensure that your content has the best chance of going viral, and let the world do the rest. In the following article, we’ll talk about a few ways that you can maximize your content’s chances of going viral on the web. Whether you are creating a video or writing a post, having a bit of length can make quite the difference. When it comes to video, you don’t want to be pinging servers with hour-long renditions, but having a few minutes of entertainment – as opposed to one or two minutes – can definitely improve your chances. When it comes to text, studies have shown that despite the fact that only around 5% of content is 3,000 words or longer, you can achieve up to twice the number of shares when compared to an article that only has 1,000 words. Did you know that the day on which you post content can make a difference as to who sees it? The reality is that content posted on a Sunday or a Friday tends to perform poorly when compared to content posted on other days. The ideal day in which to post on most social media platforms is Tuesday, but you can also find some success by posting on Monday. Why is this? Because more people are stuck in cubicles and in front of computers throughout the work week; when you post on a weekend day or close to the end of the week, then there will be fewer opportunities for the content to be seen and shared before the next big thing arrives. Did you know that list articles tend to outperform any other type of content? Whether we’re talking about videos, infographics or other types of blog posts, list articles are consistently at or near the top in terms of the percentage of content that goes viral in a given time period. Lists that cover approximately ten items tend to do the best, while lists with more than ten items do well (but not as well). Even if you opt to go with plain text on your next potentially viral project, always be sure to incorporate some media into it. This can be an image or two, a relevant video, or both. By having content that is informative – and auxiliary content included to give a mental image and explain in visuals – you can increase the likelihood that your content will be pinging servers across the world, and makes it into the inboxes and social feeds of millions.